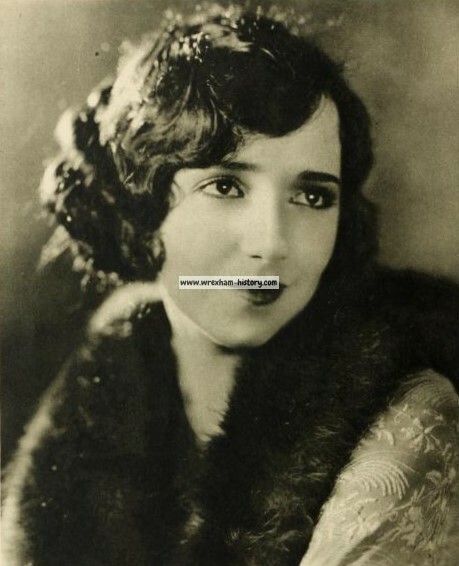 Bebe Daniels performed the opening ceremony for the Tanyclawdd housing estate showhouse. The showhouse was one of the new houses built by James Stewart (Building Contractors) Ltd and was situated on the front of the Tanyclawdd Estate in Bangor Road. Bebe Daniels, seen here in short sleeve dress was one of the famous radio pair Bebe Daniels and Ben Lyons who ran a famous comedy show in the 1950s. 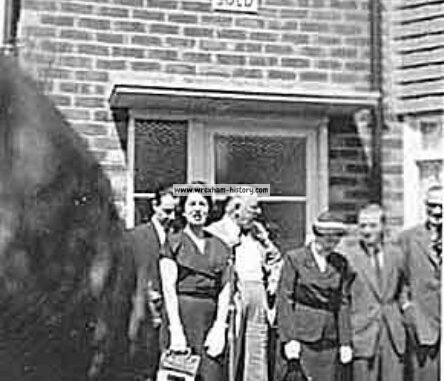 Bebe Daniels performed the opening ceremony in 1958 for the Tan-y-clawydd housing estate showhouse. 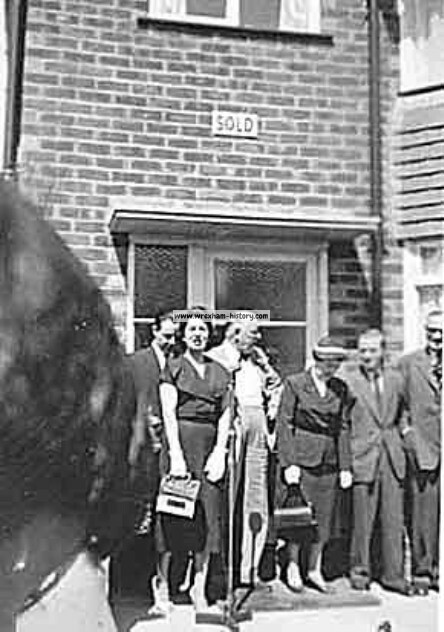 The showhouse was one of the new houses built by James Stewart (Building Contractors) Ltd and was situated on the front of the Tanyclawydd estate in Bangor Road. She began her career in Hollywood during the silent film era as a child actress, became a star in musicals such as 42nd Street, and later gained further fame on radio and television in Britain. 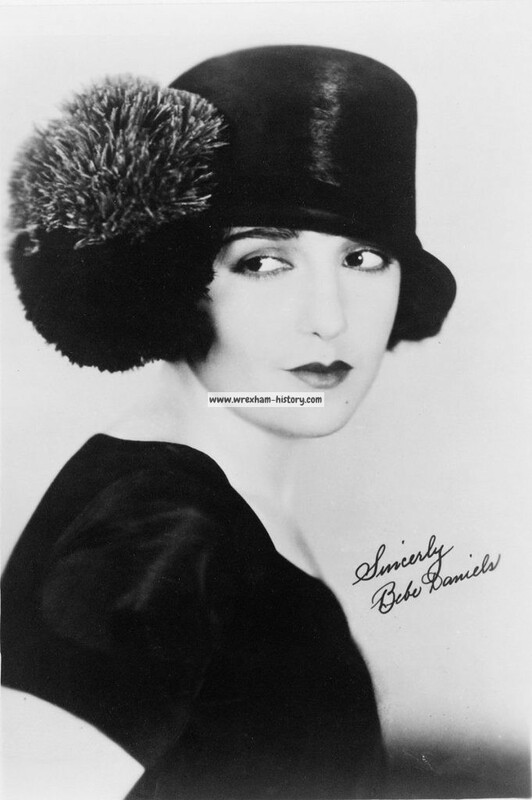 In a long career, Bebe Daniels appeared in 230 films. 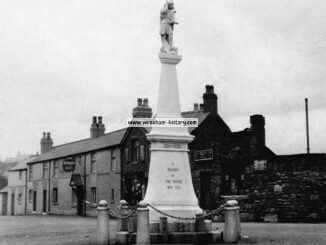 Johnstown War Memorial and Red Lion Inn, Johnstown. Source: Tom Farrell Collection, Aberystwyth. 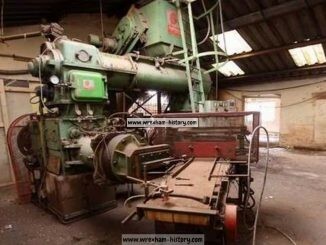 Dennis of Ruabon, Hafod works Johnstown. 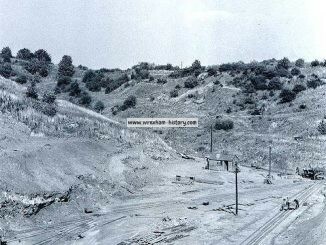 A selection of pictures from Dennis of Ruabon, Hafod works Johnstown. Source: Pics 28dl.